Some countries are endowed with vast oil supplies, while others have timber, minerals or coal. Nepal has water, and lots of it. Nestled high in the mountains between India and China, Nepal has 6,000 rivers, huge glaciers, and many of the world's tallest snow-capped peaks, including Mount Everest. The country's hydropower potential is simply massive. At peak capacity, Nepal could produce as much power as 20 Hoover Dams, or two hydroelectric plants on the scale of China's gigantic Three Gorges Dam. Harnessing that huge resource will be critical to securing the country's long term recovery from this week's devastating earthquake. Nepal is one of the poorest countries in the world and relies on hydroelectricity plants for 93% of its power. But supply cannot keep up with demand, and blackouts are frequent. "Hydropower development could be a game changer for Nepal," the International Monetary Fund said in a report last year. So far, Nepal has realized less than 2% of its commercially viable hydropower capacity. The idea is that by generating more power from its rivers, the country will not only be able to meet its own energy needs, but also export electricity to India and China. Right now, Nepal's economy generates just $20 billion in activity per year -- or less than $1,000 per person -- making it one of the smallest in the world. Many families live in poverty, and others rely on funding from relatives who work abroad. The unemployment rate is near 50%. 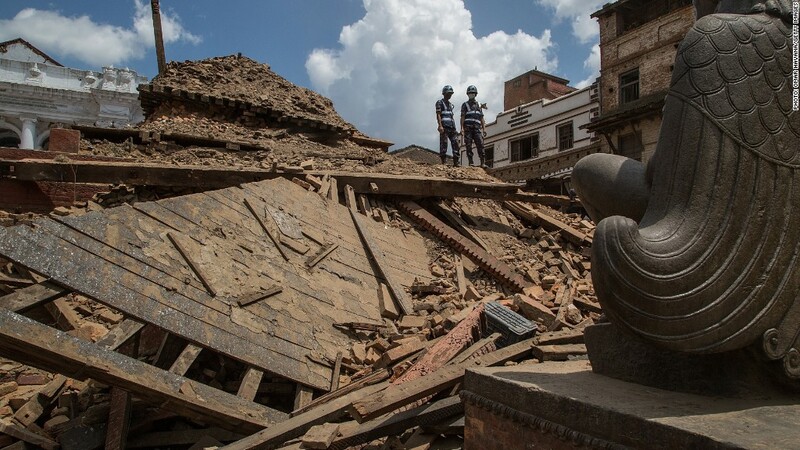 The 7.8 magnitude earthquake that struck Nepal on Saturday killed more than 4,700 people and left double that number injured. It's also dealt a major blow to the economy, and there are concerns that hydropower plants may have been damaged. Some 40 miles from the quake's epicenter, near Tibet, 200 Chinese nationals that were working on a hydropower project remain trapped at the site. According to state media, the China International Water and Electric Corp project was severely damaged. The quake came just as things were beginning to look brighter for Nepal's power industry. Last year, Nepal signed a foreign investment deal with Indian construction group GMR to develop a 900 megawatt dam on the upper Karnali River. The project is expected to be completed by 2021. Once up and running, around 12% of the generated power will be supplied to Nepal for free, and total ownership of the project will eventually be transferred to Nepal.